How to open a 2007 MS Office file in earlier version? 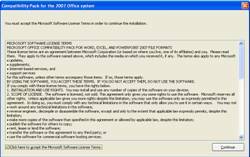 YOU ARE HERE: Home » Support Guides » Evolvit Support » Microsoft Windows & Office » How can I open a 2007 Microsoft Office file in an earlier version of Office? 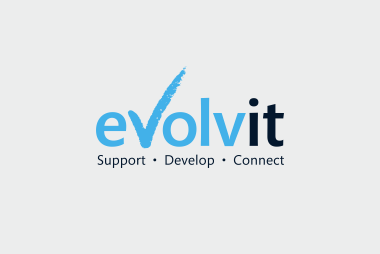 Our business IT support team have developed the following guide to help you easily solve this common problem. 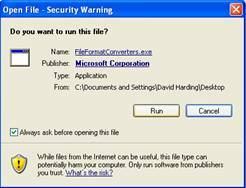 Microsoft Office 2007 introduced a new file format meaning earlier versions of office do not recognise the file. Office 2007 files now have an extra character on their file extension, for example a word document is now saved as .docx rather then .doc as in earlier versions of Office. The new office system is able to open earlier file formats but earlier versions of office cannot open the new formats. 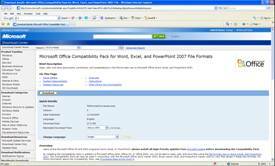 In order to overcome this Microsoft have released a compatibility pack for Office 2007 allowing users to open 2007 Word, Excel and PowerPoint formats in earlier Office versions. 1. Please download the above installation file if not already completed via the link above and save the file on your computer. 2. 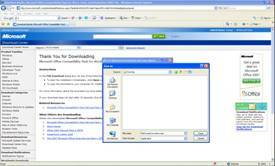 Double click the download setup file. 4. Accept the licence agreement via ticking the check box and click continue. 5. The installation will now run and you will receive a message when complete. 6. Click ok and the installation is finished. You should now be able to open the 2007 file format in your earlier version of Microsoft Office.